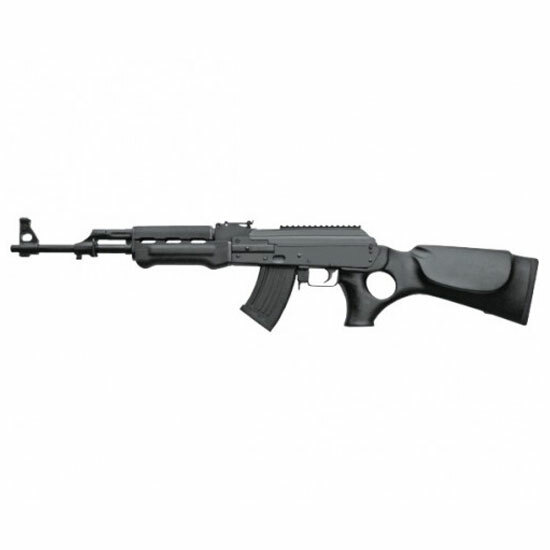 Century RI2088N N-PAP LO-CAP Semi-Automatic 7.62x39mm 16.25 10+1 Synthetic Thumbhole w|PG Stk Blk in. The NPAP has a 16.25 cold hammer forged barrel with a 110" twist and 14x1 LH muzzle threads. It has a stamped receiver and bolt holdopen notch on the safety selector. The bolt and bolt carrier are made from hard nickelmoly steel for corrosion resistance. The NPAP LOCAP rifle comes with 12 10round magazines.This model has a black synthetic thumbhole stock with pistol grip."